Det, Ins. Bill Garn. D111: Coroner L. P. Ball (Coroner is the one wearing glasses). D12: Copy neg. : Marguerite Cramer. D13: Roses, gift from Merton. 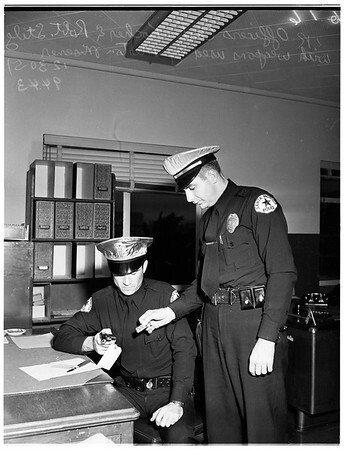 D15, 16: Carter Kocher and Robert Stilz, Santa Monica police. D17-22: Merton Misener".